The change in seasons is not a reason to stop enjoying and experiencing the outdoors, or prevent you from undertaking a weekend camp or a challenging expedition. You just need the right gear and if you plan to be sleeping out under the stars then a quality down sleeping bag is definitely an essential item in the colder months. Down is a great choice for sleeping bags as it provides lightweight yet effective insulation to keep you warm when you need it most. Warm air from your body heat gets trapped between the filaments of down, helping to keep you toasty! It’s also easier to transport than synthetic bags which are bulkier. 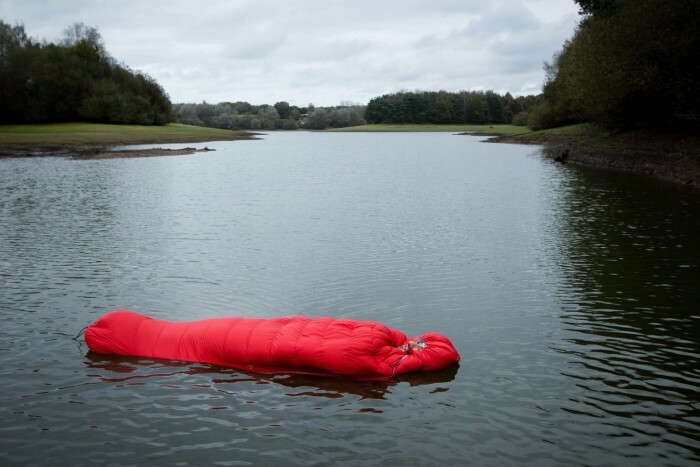 Depending upon your outdoor requirements, there are many types of down filled sleeping bags to choose from, with factors such as temperature rating, weight, design and size to take into consideration. By and large sleeping bags are categorised by Season Ratings – 1 to 4: with 1 being used generally in summer months with warm weather, 2 for late spring or early autumn, 3 for autumn and early winter with chilly nights, and finally 4, for extreme cold winter nights with chance of frost or snow. Combine this with comfort ratings and you can start to find your perfect sleeping bag. Comfort ratings relate to the optimum temperature for you to feel warm and comfortable when sleeping, whilst the Extreme rating will be the limit the temperature of the bag will work to keep you alive without causing ailments; think climbing a mountain such as Everest, you would need a high extreme rating sleeping bag! 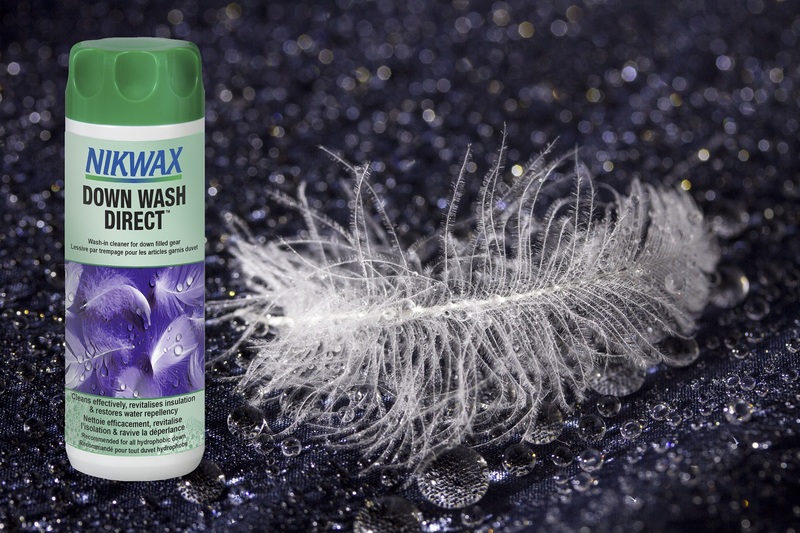 Recently introduced to the market is Nikwax Hydrophobic Down (NHD). This is the PFC-free, high performance water resistant down fill that you can now find in a number of sleeping bags and down apparel by Berghaus, Rab and Therm-a-rest, amongst others. NHD uses a specialised environmentally friendly formulation which adds no weight to the down, but enhances the performance by absorbing 90% less water than regular (untreated) down, due to the water repellent treatment covering each individual down filament. This ensures that your down sleeping bag would stay dry and retain loft up to 60 times longer than standard non-treated down filled sleeping bags. 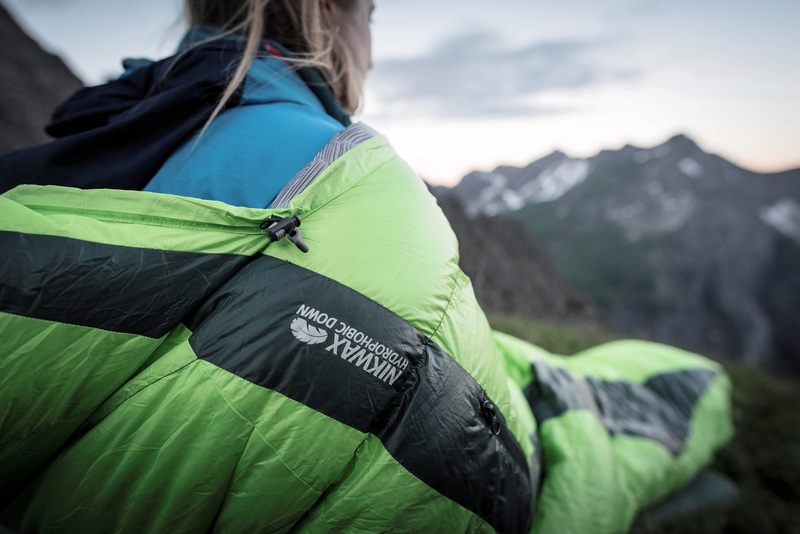 Once you have found what you consider is your perfect down filled sleeping bag you may face one more slight challenge – maintaining its performance. If a sleeping bag is filled with regular down you can quickly find that if it gets wet, you will be cold and uncomfortable, and be at risk if sleeping in very cold conditions. This is because down absorbs moisture, causing it to clump together, gain weight and rapidly reduce its loft and level of insulation. It will also take a long time to dry out. Down can be easily ruined if it’s not dried as quickly possible. But don’t let this put you off owning a down sleeping bag, help is at hand, and with the correct aftercare you can enjoy your down items and keep them performing better, for longer. Sleeping bags are best hand-washed in a bath (or equivalent) but check the manufacturer’s aftercare recommendation on the label. Clean with Down Wash Direct – applying 150ml in medium/hard water areas, or 100ml in soft water areas. Before you wash the item, be sure to remove all excess loose mud or dirt and do up zips / close flaps. After washing it is best to spin-dry the item multiple times, each time increasing the speed of the cycle. This will ensure the maximum amount of water will be expelled from the sleeping bag. As down gains weight when wet you could find by spinning the item too quickly it ruptures the internal baffles of the down. If the care label allows, tumble drying on a low setting is recommended as you want to dry the down as swiftly as possible. You can add drying balls (or tennis balls!) in to the drying process to help reduce any clumps gathering in the down fill. If tumble drying is not an option then place the sleeping bag flat on a drying rack in a warm, ventilated room, but regularly tease apart clumps to help restore the loft to the down fill. This way could take up to 24 hours to guarantee the down has dried completely. Once the item is dry it is best to leave it to air in a warm, dry space for at least a day before looking to store it away. Any down items should be stored loosely in a dry place. The compression sacks provided with sleeping bags are for use when carrying them but are not appropriate to store them in for a long period of time, as the compression will reduce the loft and subsequently its insulation.